Motivational wall sticker. Are you looking for a motivational sticker for the gym? Or do you need some motivation at home? This is the sticker for you! 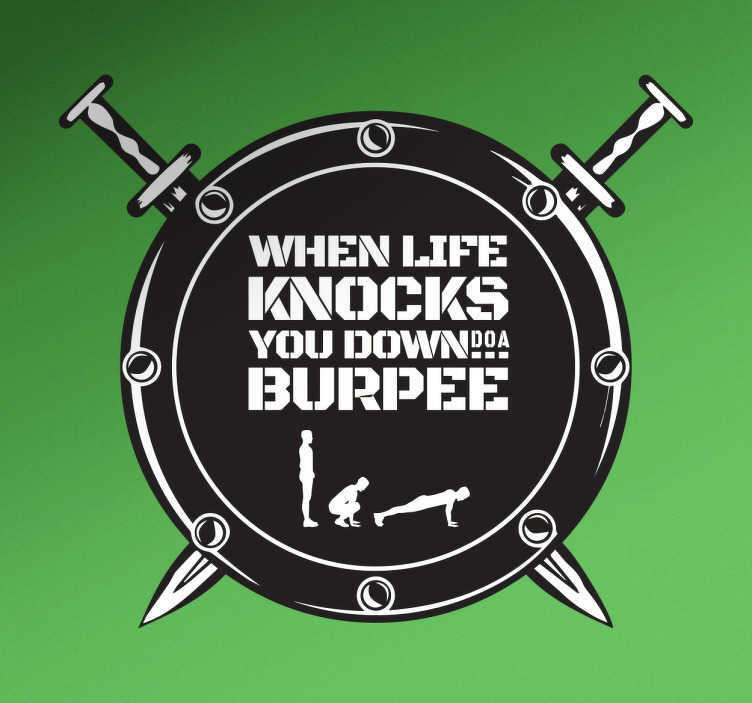 The sturdy shield with two swords, is filled with the text “When life knocks you down do a Burpee” with a silhouette of a man doing burpees.